Any request for service or products from Family Vision Center (FVC) requires acceptance of and compliance with the Practice Policies stated below. It is assumed patients have familiarized themselves with Practice Policy prior to service and accept the terms. Appointment times are reserved for scheduled patients. If one is unable to attend a scheduled visit one must notify the office 24 hours in advance of the appointed time. 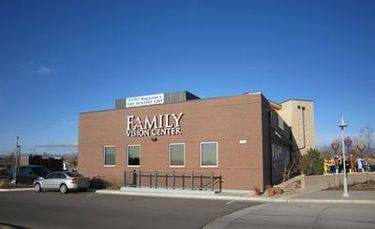 On may call (303) 427-2020 or email directoroffirstimpressions@fvccolorado.com 24 hours a day, 365 day a year to leave notification with the office. Failure to notify the office 24 hours ahead of the scheduled time may incur a broken appointment fee of $50.00. Professional fees are due at the time of service. Fees not paid on the date of service incur $25 billing fee, and are also subject to applicable finance charges. Any unpaid balance after 30 days from date of service are subject to a finance charge of 1.5% per month (18% APR), $25 billing fee, and all collection, legal, and attorney fees required to collect the past due amount. An additional fee of $25 is assessed for all returned checks. Additionally, unpaid balances due to returned checks are subject to standard finance charge after 30 days from date of service. FVC will bill one insurance for which FVC is a provider. Patients must provide FVC with insurance information at or prior to the time of visit, and FVC must be able to verify eligibility before insurance benefits will be applied. Additional coverage or coordination of benefits from multiple plans is the patient’s responsibility. Thorough exams and quality products may exceed insurance benefits. Patients are responsible for all fees regardless of insurance coverage. If FVC staff cannot obtain insurance authorization by the time of service patients must pay in full for all services rendered. Insurance fees and benefits quoted by FVC are estimates based on information available at the time of service and are not a guarantee of coverage. Patients are responsible for all fees not covered, including fees denied by insurance. Eyewear and contact lens orders are processed on the date of purchase. Spectacle order cancellations the day after purchase or product returns within 30 days of purchase are eligible for a maximum 75% refund of materials fees. Unopened and unmarked contact lens boxes may be returned for full refund for up to 90 days from date of purchase. Opened or marked contact lens boxes may not be returned. Professional fees, insurance copays, and insurance benefits are non-refundable. We will make spectacle lenses for patient’s existing frames at the discretion of the optician, based upon suitability of the frames to withstand the rigors of being fit with new lenses. Non-new frames are not guaranteed against breakage during eyewear fabrication, and if a patient’s own frame does break patient’s are fully responsible for replacing frames and lenses. FVC includes the cost to fabricate and fit lenses in the fee of new frames. To fabricate and fit lenses to a patient’s own frame is $24 in addition to the cost of lenses. Eyewear or contacts not picked up and paid in full within 90 days of the order are considered abandoned and are donated or returned to the manufacturer. Any deposit is forfeit to FVC. Prescription checks and office visits are performed at no additional charge for a period of 90 days from examination. Any office visits or prescription checks after 90 days are assessed a fee of $39 for spectacle prescriptions or a $44 fee for contact lens prescriptions. Spectacle lenses and/or frames may be changed 1 time within 90 days. There is a fee only if upgrading product. Additional changes within 90 days are at 50% usual fees. Changes after 90 days are at regular fee.